The Raspberry Patch Boutique is ran by WAHM Malina and she has a great variety of items that she makes. I tried out a pair os Shorties and a soaker. Her prices are great as well soakers start at $12 shorties and longies start at $15. First is my favorite is the custom applique Upcycled Merino Wool Shorties. I wont forget the backside shot which is my favorite. I love these I love wool but it must be a thin wool and non scratchy so I was really excited when these were in my mail box. I took them out and I immediately washed and Lanolized them. I have a how to video and when it is up I will add it to the bottom of this post. We have been using these during the day over fitted diapers. The fit on these are great and they will last him awhile with a little room to spare. These were made with custom measurements that I gave her. She was very sweet and walked me thru the measurement process so we would get it right and it worked great. Here is how they look on. I also tried out a soaker as well and it is just as cute. I love how thin these are and i can still fit them inside his pajamas. I even sometimes put these over my covers at night time just because he is such a heavy wetter at night for extra protection. One lucky TTGG follower will be winning their choice of either a Wool Longie with a applique/Embroiders, Mama Cloth, or Family Cloth/Cloth Wipes. Want 25% off your purchase use code try042014 This code is valid until 5/10/2014. Here is my how to video how to wash your wool. How to Lanolize your wool. I'd choose those adorable longies! I would love the wool Longies! I would love a pair of longies. my son wears them year round! 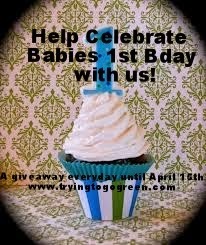 If you can only win one of you birthday giveaways, this is the one if hope for! I'd prefer all of the diapers! I would choose the wool longies! You know the tweet on this is about heroes of the city, right? This is great! Thanks for the video, I have wool that needs to be prepped too and can't wait to get started! !